LIGHTS…CAMERA…ACTION! It’s an exciting start to the New Year for us here at Go Power!. To kick the year off with a bang, Go Power! and our solar technology solutions were featured on the popular “World’s Greatest!…” television show (WGTV). A leader in ‘edutainment TV,’ WGTV is a half-hour program that showcases innovative and unique companies, products, people and destinations from around the globe. Now in its 12th season, the show explores the ‘story behind the story,’ while informing and entertaining viewers. While they aimed to highlight Go Power!’s innovative solar technology, the team from WGTV was also very interested in the people that made up our Go Power! team — how we work together to develop and enhance our products and support our customers. The team from WGTV joined us for a full day of filming in mid-September, arriving at 9 a.m. with all of their equipment at our head office in Victoria, B.C. 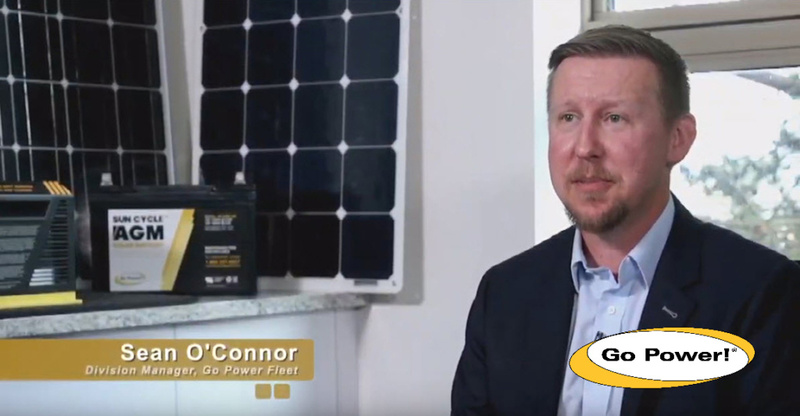 They interviewed Sean O’Connor, Go Power!’s Fleet Business Development Manager, filmed one of our staff meetings, and filmed what life is like here at Go Power! headquarters. We had a great time working with the WGTV team, and we’re excited to see how they highlight our Go Power! solutions on the show. Our entire team here at Go Power! believes that solar power is transforming people’s recreational experiences, while also providing innovative business power solutions that will benefit our planet.